Since 1989, Carriage Paper has never been satisfied with being simply good enough. In order to provide the maximum benefit possible to our customers, we are relentless at developing our product knowledge and improving our individual and team performance. Our passion is taking care of our customers. 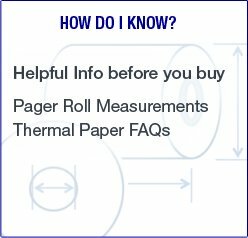 Our product is paper. Our focus is you. 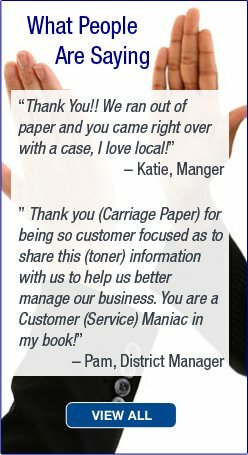 Partnering with Carriage Paper means you are partnering with one of the nations' largest and longest standing distributors of point of sale consumable products. Our reputation is built upon years of consistent performance and customer satisfaction. 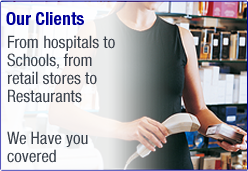 We strive to make every transaction a positive experience specifically tailored to each client. 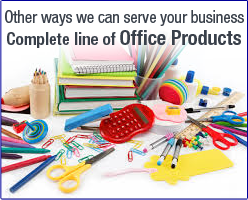 Our dedicated representatives are always here to deliver what you need, when you need it.